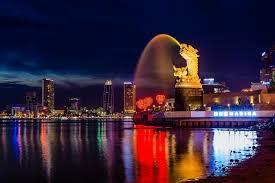 We will pick you up at your hotel in Hue city from 7:30 to 8:00 am and depart to Danang city. On the way, we will stop for 30 minutes at Mekong Hai Van Rest stop and continue by bus to visit Son Tra Peninsula, which is crowned by the Son Tra Mountain that the American soldiers during the Viet Nam War called Monkey Mountain. Coming here, we also visit Linh Ung Pagoda, which is often revered as the most magnificent work of its kind in the area in terms of architecture and artistic value. After that, you will have lunch at a local restaurant in Danang city in an hour before continuing the trip to Hoi An in the afternoon. We will stop to visit The Marble Mountain - A cluster of five hills made from limestone and marble, and visit a famous traditional village of Danang city for fine art stone engraving products - Non Nuoc marble village located at the foot of Marble Mountains. 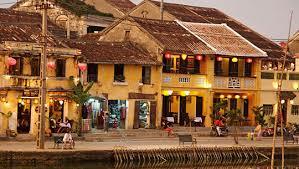 Then we will come to Hoi An Silk Village. 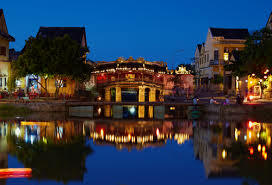 From 4:00pm, we will begin the excursion around the old town with Phuc Kien Temple, Tan Ky Ancient House, Japanese Bridge and cultural show rooms in Hoi An. 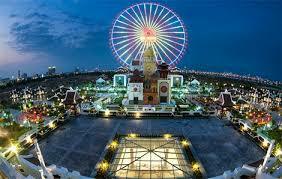 We will start to come back to Danang city at 5:45pm. 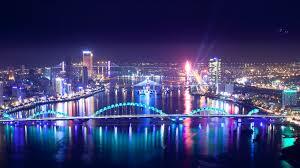 And by 8:00 pm, we will finish our tour at our office in Hue city. Departure – metting point : At your hotel in Hue city. Lunch as per program at local restaurant in Danang. 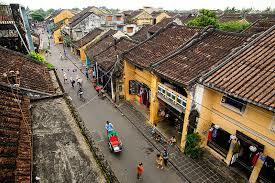 What do you think of Hue - Da Nang - Hoi An One Day Tour?